La Jota has one of the older histories in the Napa Valley. In its formative years, the property was owned by George C Yount. The land was part of a grant given to Yount by the Mexican Government. The estate was known as Rancho La Jota in those days, which as you can see, is there the name comes from. The vineyard was cultivated in the 1890’s by the new owner, Frederick Hess. At the time, it was part of a much larger 327 acre estate. 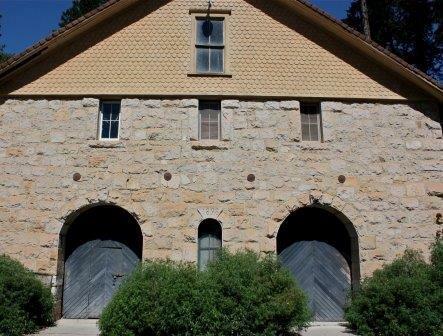 The small, original, stone winery was built in 1898. La Vineyards was abandoned following prohibition and the vineyards were allowed to go fallow. That changed in the 1970’s when the property was purchased by W.H Smith, who once again, cultivated the vineyards. The style of wine being produced at La Jota was quite rustic, during the 1980’s. That changed when La Jota brought in Helen Turley, (who founded Marcassin) as their winemaker. From that point forward, they could do not wrong. The wines produced at La Jota during the 1990’s are stunning, especially the La Jota Vineyard Anniversary Reserve wines. The 1992, 1993, 1994, 1995, 1996 and 1997 remain some of the finest examples of mountain grown fruit produced at the time. Situated on Howell Mountain, at elevations over 1,500 feet, the vineyards are above the fog line, giving them a special micro-climate. The terroir is stones, rocks, volcanic material and red clay. All of their vineyards are farmed using self-sustaining farming techniques. La Jota Vineyards owns 28.05 acres of vines that are planted to 20.58 acres of Cabernet Sauvignon, 3.24 acres of Merlot, 2.88 acres of Cabernet Franc and 1.35 acres of Petit Verdot. The vines are planted in 3 separate vineyards that are further divided into 16 different parcels. La Jota Meadow Vineyard 17 acres planted between 1993 to 2007. La Jota Vineyard Hill Vineyard 9 acres of vines planted between 1978 and 2007. La Jota Block Vineyard 1.89 acres planted to 100% Cabernet Franc in 1976. Today, La Jota Vineyards produces 4 wines. La Jota is best served at 15.5 degrees Celsius, 60 degrees Fahrenheit. The cool, almost cellar temperature gives the wine more freshness and lift. Young vintages can be decanted for 1-3 hours, depending on the character of the vintage. This allows the wine to soften and open its perfume. Older vintages might need very little decanting, just enough to remove the sediment. La Jota is best served with all types of classic meat dishes, veal, pork, beef, lamb, duck, game, roast chicken, ribs, hamburgers, barbecue, roasted, braised, grilled dishes and stews. La Jota is also good with Asian dishes, hearty fish courses like tuna, salmon, mushrooms and pasta. Really fine example of mountain Cabernet Sauvignon. The wine is concentrated, full bodied and deep. The fruit is ripe, the tannins are relatively refined, giving you a nice texture and mouthfeel, with a smoky, dark berry, earthy finish. Big, rich, dense, full bodied, and with plenty of ripe, sweet, black cherry, blackberry, licorice to spare. Tasty and ageworthy. Polished and soft for a young Howell Mountain wine, with plenty of ripe, sweet, juicy, fruit, licorice, earth and tannins. Structured to age, yet for this appellation, the wine will probably be approachable with only a few years of age. Nice wine, good weight, density, texture and ripeness of the fruit, but the oak influence is still quite noticeable and will probably remain a part of the wines permanent character. Full bodied, tannic and serving up a refined, mountain styled wine, with espresso bean, caramel, maple and dark cherries in its personality. Give it a few years to improve. Tannic, spicy, smokey and fresh, with licorice, herbs, blackberry and earthy notes. Lay this down for a years and it should be much better with age after it softens and hopefully adds more weight. What a nice surprise! I have not been excited about La Jota since the 1997. This wine rocked and sells for a song, for a wine of this quality! Dark in color, with licorice, smoke, black raspberry and earth on the nose. Fleshy, fresh and fun to drink, with ample, round tannins and layers of juicy ripe mountain fruit. Give it a few years for the tannins to soften. La Jota makes Caberent Sauvignon that improves with age. Rich, fat, dense and intense, the wine coats your mouth leaving with a beautiful sensation of black and blue, pure, fresh fruits. It’s hard to find a better aged Cabernet Sauvignon for the money than these mid 1990’s bottles of La Jota! I think this is the last vintage produced with Helen Turley. 1997 La Jota Anniversary Cabernet is a winner. This wine performs like it was only a few years old. Deeply colored with cassis, blackberry, spice, chocolate and tobacco notes, it's rich, full bodied, concentrated and powerful. The wine finishes with a long dark berry and ripe cassis filled finish. This is last vintage produced by Helen Turley. She left on a high note. I suppose the secret is out, that the La Jota Anniversary wines, made by Helen Turley are perhaps the best examples, of mature, mountain fruit, California Cabernet Sauvignon out there today. Smoky, tobacco, cassis, earth, blackberry and cigar box aromas, concentration, with a powerfgul, yet, regal presence and a long, fruit filled, tobacco and dark berry finish. No decanting needed, just pop and pour. There is a beautiful purity of fruit here, which is a good thing as there is so much of it. The texture is regal, the finish sticks with you for over 40 seconds, and you want to go back for another sip. If you're wanting to taste some old Cabernet Sauvignon, grab a bottle of this at an auction, you'll be happy you did. Tobacco, earth, pepper and blackberry with a blast of dark chocolate on the nose, the wine is ripe, sweet, fresh, and long. Make no mistake about this, La Jota Anniversary Cabs from 1992-1997 remain the best, secret deal in the marketplace for mature California Cabernet Sauvignon. These wines are stellar. Filled with spice, cassis and earthy scents, this big, dense, powerful, balanced wine still seems young and finishes with a boatload of ripe blackberries. Cigar box, flowers, fresh herbs and dark red fruits create the nose. The wine is concentrated, round, fresh, deep and polished, with a long blast of ripe fruit and tobacco in the finish. This tastes like it's only 10 years of age, not on its way to 25! Deeply colored, with concentration, intensity, richness and at least what must be a bushel of blackberries, this is just stunning! The powerful, fruit filled finish sticks with you. With scents of earth, spice, black and blue fruits, this full bodied, concentrated, lush, dense, powerful wine is packed with layers of ripe, dark berries. Structured to age, with some tannin to resolve, this will continue to age and develop. This is the best wine from the Helene Turley era at La Jota. More importantly, this could be the best kept secret for a great California Cabernet Sauvignon wine as it sells for a song, compared to the high scoring wines of the vintage. Still deep colored with no signs of aging. The nose is filled with cassis , toasty oak and spices. This is packed and stacked with layers of ripe mountain fruit. With all its concentration it remains well balanced. This is still not fully mature. The long black fruit filled finish is fresh and pure. Firm, structured and more tannic than the Anniversary Reserve, the wine displays forest floor, leaf, blackberry, tobacco and earthy characteristics. On the palate, the wine feels a little rustic, ending with dark red berres and spice in a masculine finish. The color is a very dark purple, almost opaque. The nose sports a perfume of blackberries a slight blueberry note, cassis, spice, coffee, menthol, vanilla and oak. The wine offers a dense, full bodied, chewy texture. On the palate, the wine displays blackberry liqueur, pepper and black cherry flavors and a long finish. This will age well.